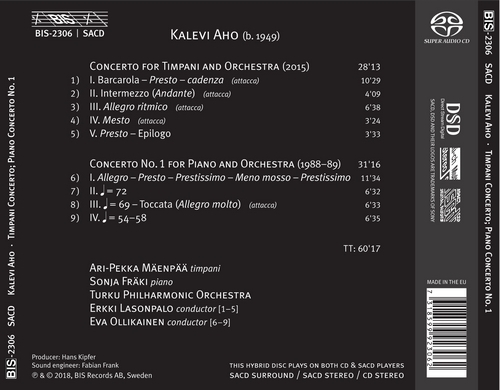 Hugely productive, Kalevi Aho(b. 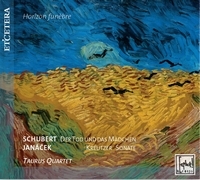 1949) has composed close to 30 concertos to date. These include works for traditional solo instruments –piano, violin, cello … –but also more unusual ones, such as the thereminor accordion. 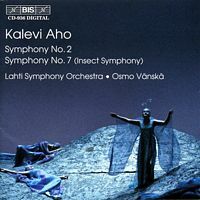 One project of Aho'sis to write concertos for all of the instruments of the symphony orchestra, from the flute to the contrabassoon, and in 2015 the turn came to the timpani. 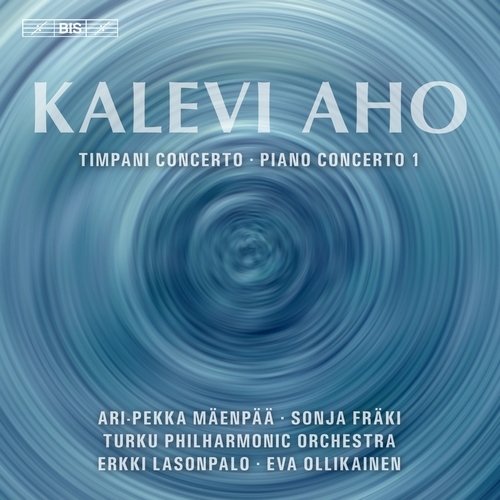 The work was commissioned by the Turku Philharmonic Orchestra for its timpanist Ari-Pekka Mäenpää, and Mäenpää and Aho worked closely together during the writing process. 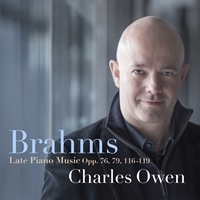 The result is a concerto that explores the instrument's full potential, from the melody opening the concerto, which lasts more than thirty bars, to the rhythmically compelling third movement. 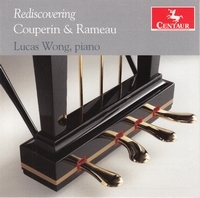 Composed almost 30 years earlier, Piano Concerto No. 1 reflects the composer's interest at the time in numerology, and specifically in so-called cyclic numbers. The colourful and exciting work is however anything but cerebral. 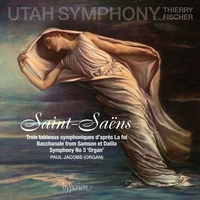 Soloist is Sonja Fräki, who chose Aho's music for piano as the subject of her doctoral studies, and whose recording of the solo works (BIS-2106) was released to great acclaim in 2015. 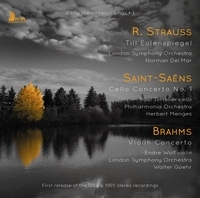 With the two works on this disc, no less than 16 concertos by Ahoare available from BIS, in recordings that have been praised by reviewers worldwide, and received distinctions including the prestigious ECHO KlassikAward. Recording: January 2017 at the Turku Concert Hall, Finland. 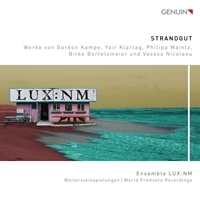 Played on Grand piano Steinway D, serial number 598518'; Timpani by Wolfgang Hardtke, Berliner Paukenwerkstatt, equipped with Kalfo natural calf skin heads.